Win Ten Signed Copies of Paul’s New Book! This competition has now closed and the winners have been notified. Thanks to everyone who entered. In two months my new book Grace Remix will be released. This is the fourth and final instalment in my Greatest Hits series and it’s the best one so far. Well, it’s definitely in the top four. I’ve got TEN signed copies of Grace Remix to give away now! I want to give these books to people who’ve read at least one of the other Greatest Hits books. 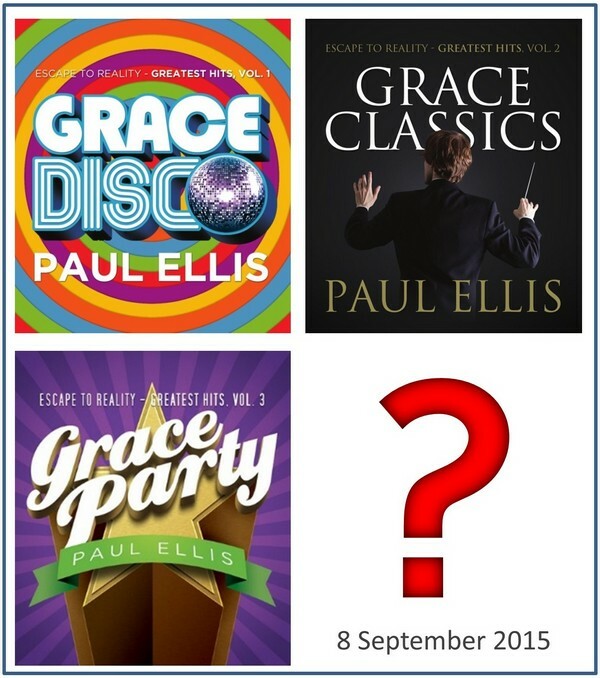 So if you enjoyed Grace Disco, Grace Classics, or Grace Party, you could be among the first in the world to get your hands on the new book. You’ll get a real book too, made of paper and ink. And it doesn’t matter where you live. I’ll send these books anywhere in the world, from Timbuktoo to Tallahassee. At the end of the week I’ll pick ten winners. (Since grace is fun I’m looking for smiles, wacky grins, funny faces – see below for inspiration.) If you’re picked, you’ll get a book. Easy! The autographed books are going in the mail at the end of the week, so what are you waiting for? Grab your camera/phone, take a pic, and you could be among the first in the world to get a hold of Grace Remix: Escape to Reality Greatest Hits, Vol 4. Everyone else has to wait until September. 10 Comments on Win Ten Signed Copies of Paul’s New Book! Too bad I haven’t read any of the books. I have only the free books you graciously permitted us to download. How do I snap with my electronic copy? Looking forward to your new book! I have been reading your blog for a while now and finally got around to buying some of your books….I just bought Grace Disco, Gospel in 20 Questions, and Hyper Grace Gospel. Really looking forward to reading them! I just moved to the north Atlanta area and am looking for a church that preaches the true gospel of grace. If you Paul or any of your readers have any suggestions I would appreciate it! World Changers Church International in College Park is an awesome Grace Church. I only have the kindle versions of your books. Looking for your remix album! Awesome books Paul and I am looking forward to the Remix.Man thinks by trying harder he can defeat sin and temptation.All that does is pour petrol on the fire and it quickly gets out of control.Believe in Gods Grace which is like pouring water on the fire.Only Grace can melt our hearts and change our lives not law.God bless you Paul and may the words you write be full of Gods Grace.Jesus+anything=0 Gods sums are simple !.